Our founder Mr. Pradip Shah was felicitated at Israel for his help in setting up a credit rating agency in the country. The Government of Israel planted 100 trees in his honour. It moved him a lot and he observed Israel being a small country grows 2.5 million trees per year irrespective of small land cover and less population then why not we in India also do so! Moving forward, the idea was then fine tuned into an exclusive product ‘Personalized e-Certificate’ that enabled people to gift a tree to wish their loved ones on special occasions. The cost of Personalized e-Certificate is Rs. 85/certificate/sapling. Subsequently, we grow the saplings and nurture them till it becomes self-sustaining tree. In the year 2010 the company was incorporated at Mumbai, Maharashtra. Initially it was funded by Mr. Shah but now the company has attained the break-even through the sale of e-certificates and funds acquired from corporate CSR. We started the operations in one state and now we grow trees in almost 15 states in India. Every project of Grow Tree is different and has a specific purpose creating a social impact. 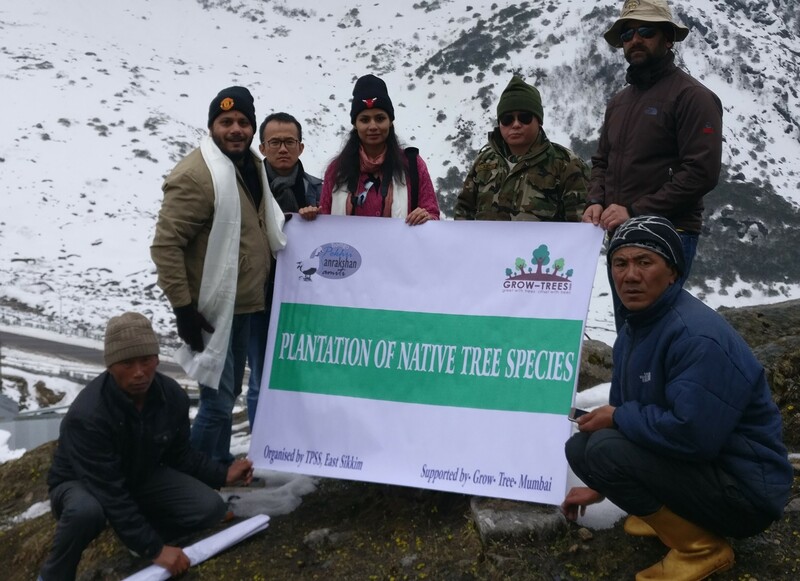 Few to name are Trees for Himalayan Rural Communities, Uttarakhand; Trees for Water, Bhilwara, Rajasthan, India; Trees for Himalayan Monasteries & Forests, Sikkim; Trees for Tribals, Nimbhora, Maharashtra, India. In every project we transplant minimum 25,000 saplings although the area required varies because if it is a barren land then 1000-1200 trees can be grown in one acre while if the land already has trees then we would need more area to transplant all our 25,000 saplings and so on. 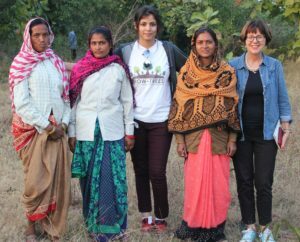 We work in partnership with local communities precisely tribal women who are paid to raise the saplings till it grows into healthy trees. We stay in regular touch with them for 5-7 years. 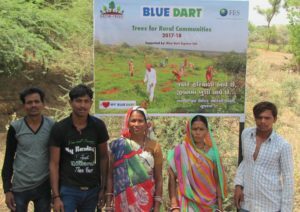 In addition we make sure the communities and entire ecosystem is benefitted from our projects in the long run thereby the area of plantation and tree varieties in each project are selected only after intense research. We always grow trees on government or community land after taking the legal permission. The plantation site could be the periphery of wild life sanctuary or forest area near the tribal inhabitants and so on. We work in an organized manner where we abide with all the rules and regulations through the official procedure. The tree species grown has to be local to the region then only it shall boost the biodiversity and serve the purpose of the project thus we make the selection accordingly. 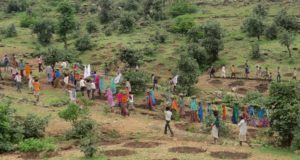 For example, in the project: Trees for Water – Mewar, Rajasthan the trees species planted were Acacia nilotica (Babool), Azardirachta indica (neem), Pongamia pinnata (karanj), Butea monosperma (khakhra), Albizia leebeck (siris), Holoptelea integrifolia (churel), Dalbergia sissoo (shisham) and Ziziphus spp (ber) etc. These tree variants are drought-tolerant local species having deep, water-seeking roots that penetrate into the soil to tap the local groundwater and draw it to the surface and distribute laterally and vertically retaining soil moisture. These trees also prevent evaporation from rivers, reservoirs, and soil saving water for agricultural purposes. 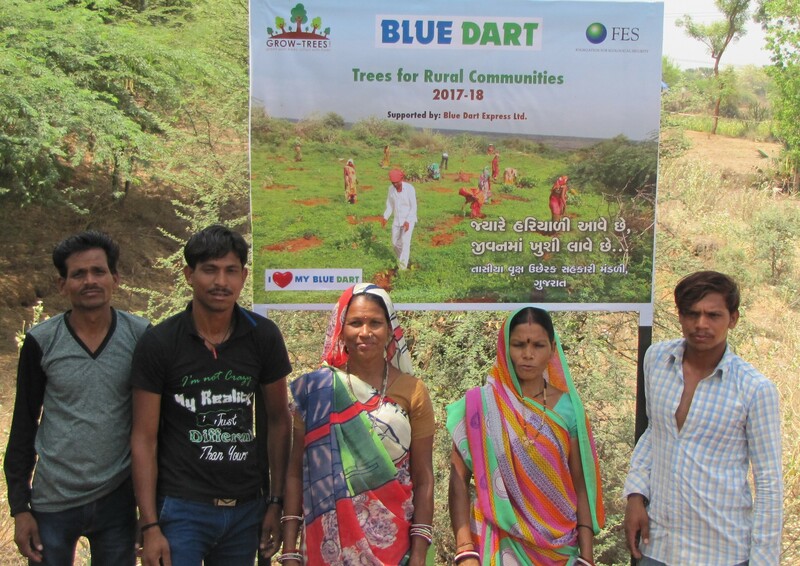 Planting indigenous trees help drought-prone areas cope and sustain long-term benefits in Bhilwara. In this way tree species selected are in alliance with the purpose of the project. Through these numerous projects so far we have planted 3,007,227 trees. This figure is the actual number because we conduct a third party audit in each of our project. 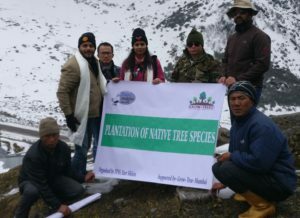 The auditors visit the site post one-year from the transplantation, verify atleast 60% of the trees grown in the area and give a detailed audit report specifying the information of species grown, number of trees surviving, every tree tagged with the gifting details etc. Nursery plants are prepared well in advance before transplanting. We know a healthy plant can only grow into a healthy tree so we make certain the saplings are nurtured minimum for six months in our nurseries and attain the height of atleast 2-3 feet. The saplings are prepared in association with the officially appointed nursery owners located at the nearest distance from the plantation site. In time to come, we plan to expand our operations to five more Indian states as well as two foreign countries. Secondly we want tribal women/communities to get a regular source of income even after the completion of our project. To do so we want them to collect and process the fruits of the trees grown in our project and then sell the produce on our e-commerce platform. We are glad to have encouraging response from the Indian citizens and corporate for our diverse projects. Their contribution has been our strength to grow 3,007,227 trees in different parts of the country. We hope it continues because we want to grow millions of trees every year for better environment and prosperity of tribal communities.